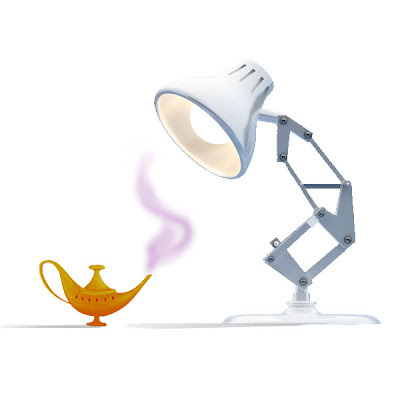 Right as the Genie goes back into the lamp in mid 2010, the Lamp's first classic will be turned into the replacement at the Hyperion Theater in 2011. It'll be an expanded and somewhat altered version of the show that plays on the Disney Cruise Line that makes the transition to the park though. The one on the seas hasn't gotten the best of reviews and there is talk of some tinkering before the curtain arises in a couple years. As much as I love Pixar, I have to comment on how awful their musical song catalog is. Why oh why do they insist on making musicals in the parks on Pixar properties when they don't even have a a tenth of the magic as the weakest of Disney musicals. Here's hoping it dies a quick death and possibly Repunzal replaces it. I enjoyed Aladdin so much and it was a staple for all of my vacations. I will be very sad to see the show go. And I'm not looking forward to this. There is way too much Toy Story in Disneyland. They are ruining one of my favorite Pxar films by overusing it. You take a movie made with the attitude that there would be no characters singing corny songs, and then you do a stage version and add a lot of new corny songs, and then you call it Toy Story-The Musical. It's like they had to replace Aladdin at the Hyperion because it's been running way too long, and the replacement could be anything that you want from the vast Disney library, as long as it's either Toy Story or Cars. And the cheaper option would be just to take the lousy show that they do on the Wonder and import it. Done. Now who's for a Cars-The Musical for the cruiseships? Nobody's clamoring for that either. Princess and the Frog would be a much better choice. The music is terrific, and the setting would fit in with the period theming of Hollywood in the 1920s. But that's not Toy Story or Cars, so fergit it. I must agree with the above readers, while I do love Toy Story, I must question why there is way too much of the franchise at the resort. Can we at least diversify and focus on other Disney properties? I will miss the Aladdin show, it has been a bright staple at DCA. I make it an effort to see it whenever I'm at the park. I guess I'll have to go there before the final curtain call. Alain has posted some videos of the show in all it's underwhelming glory. Sheesh, they've taken a charming colourful film and turned it into an embarrassing mess. And now it will be installed into the Hyperion and stay for 10 years. Good mediocre work everyone, kudos. Enough with all this TS-hype already! Give us some Snow white, cinderella, jungle book, aristocats, oliver & co, bambi, pinocchio, peter pan, lady & tramp, Alice in Wonderland (great timing), sleeping beauty, sword in stone, robin hood, beauty % beast, pocahontas, the hunchback, hercules, mulan, atlantis, lilo & stitch, treasure planet, brother bear, home on the range, chicken little, robinsons, princess & frog... *phew* all of these would be more attractive to me than yet another TS-tie in! Although Lasseter seems like a great "leade", he appears to forget all of the gold in the bottom of the Disney treasure chest. Anonymous #1, you KNOW that Pixar's films are just as magical as any and all of Disney's musicals. Besides, Pixar is officially Disney now anyway. Mr Lasseter doesn't pick the rides and shows though "Roald"? Boring, souless, spineless suits'n'ties that is. I will miss the Genie, big time! I've only actually seen the Aladdin show twice, but he stole it both times! Definitely must see it a couple more times before it goes away. Anonymous #2, I believe Anonymous #1 was referring to Pixar's music as opposed to Pixar's films. To be honest, he's right: Pixar isn't a studio that relies on songs to help drive a story, so their movies are especially harder to translate into theme park musicals than more traditional Disney films would be. They weren't saying that. They were simply saying that Pixar movies aren't known for musical sequences. Finding Nemo The Musical is my favorite live show in the parks. Great music and they captured the heart of the story. I'm not looking forward to Toy Story unless they rework it a lot from the show on the Wonder. Needs new music, too. Whatever show is in the theatre doesn't bother me, the theatre itself though is ATROCIOUS. Oh, that IS a better idea. If I were King of Disneyland, I'd close the Hyperion, build a proper grand lobby, add bathrooms and concessions, and open with a big musical in 2-3 years. Something people would really line up for, like say Hunchback of Notre Dame, Princess and the Frog, or Cinderella. Or maybe an original story with new characters. Or we could just dust off the Toy Story cruise ship thing that nobody wants, and stick that in there. Excuse me, Roald, but that's not true and you know that. Just because you think that does not make it true. Besides, anyone who says anything bad about Mr. Lassetter should be tried for treason and hanged!